Once again, our Second Amendment Right to keep and bear arms is in danger of unconstitutional restrictions by liberal anti-gun activists. A recent decision by the Ninth Circuit Court of Appeals, well-known for its progressive bias, upheld California’s draconian regulations that essentially prevent almost all citizens of the state from being able to carry a concealed weapon outside the home. When this case reaches the U.S. Supreme Court, currently split 4 – 4 along ideological lines, it is unlikely to be overturned. The importance of the November election should be obvious for so many reasons. A liberal Supreme Court will eviscerate every element of our Constitution that protects individual freedom, the rule of law, and the American way of life. To summarize, Peruta v. County of San Diego involved applicants who were denied concealed carry permits for failing to show “good cause” as required by California law. The Ninth Circuit eventually heard the case, basing the issue on “whether the Second Amendment protects, in any degree, the ability to carry concealed firearms in public.” The Ninth Circuit concluded that the Second Amendment does not protect the right to carry concealed firearms in public. 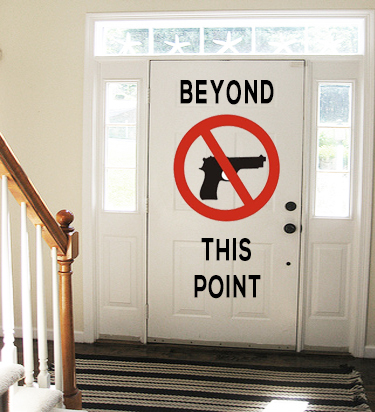 This opens the door for states to impose restrictions or prohibitions on concealed carry. Although Section 30 or Article I of the North Carolina Constitution essentially restates the Second Amendment, it also contains the following clause, “Nothing herein shall justify the practice of carrying concealed weapons, or prevent the General Assembly from enacting penal statutes against that practice.” This does give the NC Legislature the authority to restrict and regulate concealed carry in our state. Removes the “. . . nothing herein shall justify the practice of carrying concealed weapons . . . ” language from the NC Constitution. Creates “constitutional” (no-permit) concealed carry. Keeps the current concealed handgun permit system intact in order to afford citizens reciprocity with other states and to enable citizens to carry in more sensitive areas. As a constitutional amendment, these changes to the NC Constitution would be on the ballot in November where we, as citizens, will be able to decide this issue for ourselves. It is urgent that each of you contact your state representative and senator, as well as Speaker of the House Representative Tim Moore (email Tim.Moore@ncleg.net), and urge them to co-sponsor and support HB 1148 and our Natural Law Right to self-protection. Below is a sample email that you can personalize and send to each. You may also go to Grassroots North Carolina (GRNC) for additional samples letters and a full list of NC House Republican email addresses. If you aren’t sure who your NC Representative or Senator is, click Who Represents Me? Grass Roots North Carolina (GRNC) deserves your support as well, financially and as a volunteer. They fight every day to protect the one constitutional amendment in the Bill of Rights that guarantees the continued existence of the other nine and the Constitution itself. With the recent decision by the Ninth Circuit Court of Appeals, which upheld as constitutional California’s draconian restrictions on concealed carry, the gun rights of all Americans have never been in more danger. This is particularly true because, with the current 4-4 split in the U.S. Supreme Court, this egregious ruling is unlikely to be overturned, potentially ending the right to bear arms around the country as a practical matter. This is very serious! This is no time for hesitation, and no time for half-measures. As a North Carolinian gun rights supporter, I demand that you do something as The House Speaker to protect the people of this state from this latest, and quite ominous, anti-gun court ruling. I must insist that you ensure that Rep. Pittman’s “Gun Rights Amendment” bill receives a hearing, and is placed on the fast-track to passage. Your support for Rep. Pittman’s bill, and its ultimate passage, are critical, and they are the only things that will protect the free citizens of North Carolina from becoming “subjects.” This Ninth Circuit ruling is not acceptable, it must be mitigated in every way possible, and we are counting on you. I will be paying very close attention to your actions on this “Gun Rights Amendment” through alerts from Grass Roots North Carolina (grnc.org) as well as other media sources.